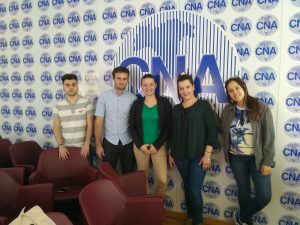 They explained to us the operation of the program that they use to register invoices of their clients and keep an organized accounting for the declaration of the IVA. He showed us the model that is used for the VAT declaration of a company. 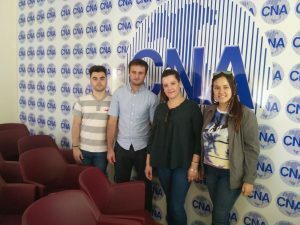 We exchange views on how a company works in Spain and how it works in Italy. In Minerva Club Resort Golf & SPA, they took us to see how the Warehouse Management “Gestione del magazzino” worked where invoices arrived and every time products from the warehouse came or went they had to be registered in the software. Then they took us to see the accounting part of the company. Where they arrived the invoices that we previously introduced in warehouse management. Here we taught to count those bills and they let us participate by posting a couple of bills each. 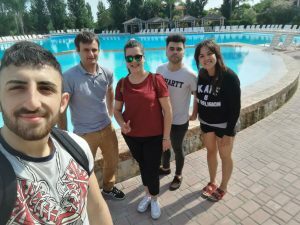 Finally, they let us use their facilities, such as the pool, recreational sites, dining room … they behaved very well with us and made us feel very comfortable during the entire visit.